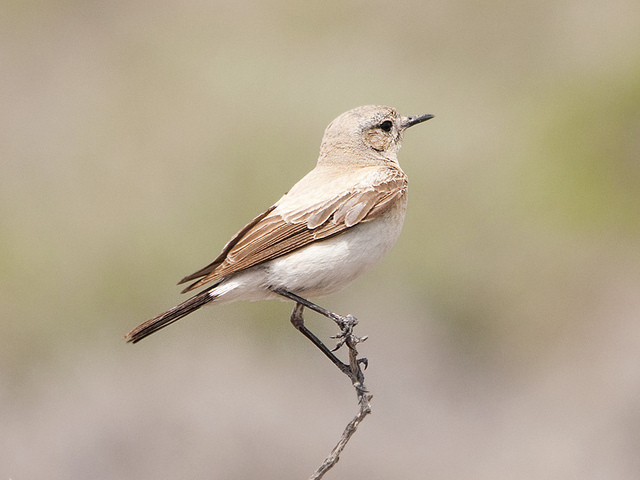 The Desert Wheatear is a very rare vagrant in Western Europe. It breeds in sandy deserts and steppes. Remarkable is the white rump and all-black tail. 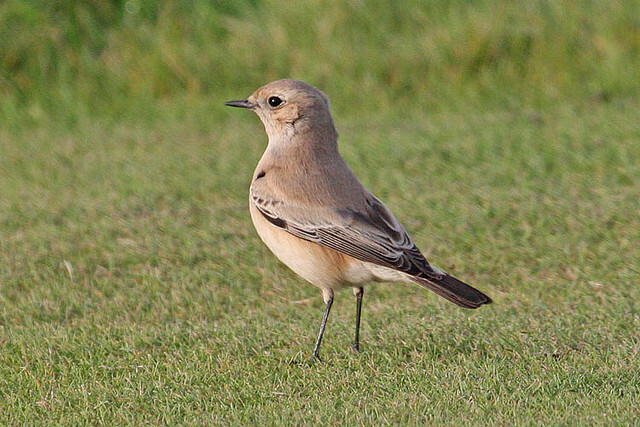 Most wheatears only have black at the end of the tail.